Set in the 19th century after a mysterious attack wipes out major cities in Japan, China and Korea, Ronin Island follows the survivors from all three lands who converge on a hidden island to plant the seeds of a new society. This tenuous peace is threatened when a new Shogun emerges and expects payment in return for repelling an army of mutated invaders. Like Mech Cadet Yu before it, Ronin Island proves that Greg Pak—one of Marvel and DC Comics’ most reliable writers—may be at his very best when constructing wholly original worlds. And with Old City Blues auteur Giannis Milonogiannis providing art, Ronin Island’s first issue established the mini-series as an early contender for 2019 standout. Today, Paste is thrilled to offer an exclusive first look at Ronin Island’s second installment, which picks up right where the first issue left off: with a horde of mutant-zombie-monsters descending on our burgeoning protagonists. Young Hana and Kenichi must contend with both the insatiable invaders and the resulting political upheaval. Check out Milonogiannis and colorist Irma Kniivila’s interior pages below, along with a first look at variant covers from Ethan Young (Nanjing: The Burning City) and Kris Anka (Runaways). 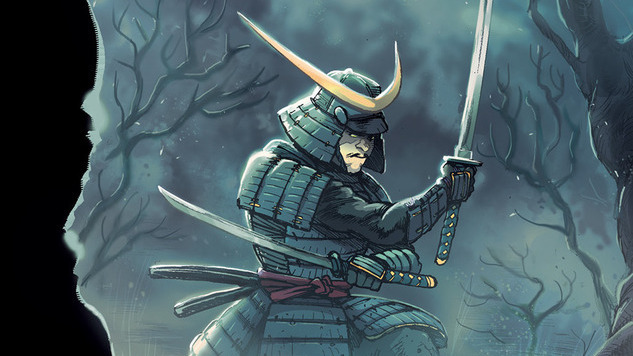 Ronin Island #2 hits comic shops and digital retailers April 10th, 2019. Under threat from a mutated horde, the island is forced the cede control to General Sato—and Hana and Kenichi have a choice to make. Torn between protecting their home or standing against a threat to all of humanity, the two warriors find that their differences may divide them yet again.